Use a corner shelf as a bunk bed for your rats! Get a corner shelf that has a rim or wall along each side. Put a wash cloth in each bed area. 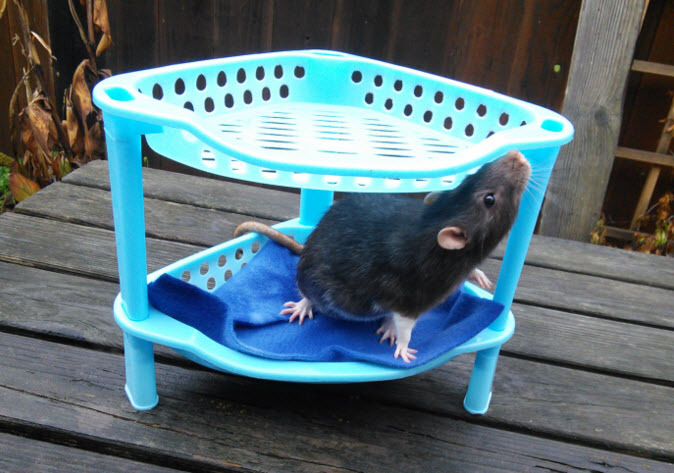 If needed, provide a ramp up to the top bed for your rats.